Hello, it's me! 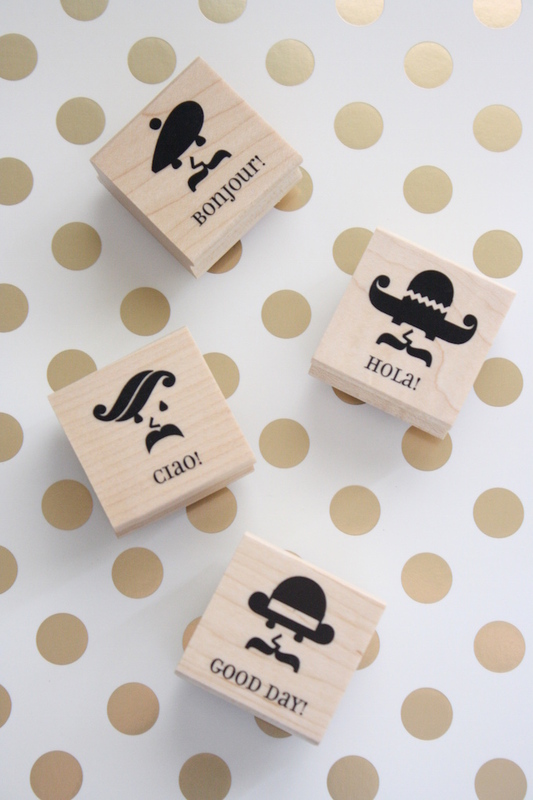 And 4 adorable little stamps that are about to turn into the cutest DIY you ever did see. I am so thrilled to share a project with you that I've been working on the past few weeks with one of my favorite stores, Paper Source. Paper Source has been my go-to for cards and gifts for many many years. I even bought all of my wedding paper from them! One of the things that I love about Paper Source is that they encourage you to get your hands dirty which in the crafting world means creating things on your own. I love DIY anything, and I couldn't think of a better DIY than creating my own stationery. Using Paper Source's selection of stamps, notecards, and embossing tools, I created my own set of notecards. Take a look at the video below and for full project details, head to Paper Source's blog! I received the products seen here in exchange for a blog post. All opinions are my own.